Jonathan Rhys Meyers makes his first appearance as warrior and holy man Heahmund in the Season 4 finale of Vikings. Still, I’m not happy to see the end of this superb, 20-episode season. I realize everyone needs some time off, especially writer and EP Michael Hirst and his amazing cast and crew. Still, I want more “Vikings”—and I know I’m not the only fan feeling this way. The Season 4 finale, titled “The Reckoning,” the Vikings’ battle plan vexes Prince Aethelwulf (Moe Dunford) while his father, King Ecbert (Linus Roache), initiates a plan of his own that could slow the Great Heathen Army. The finale also introduces another epic character fighting for Wessex. 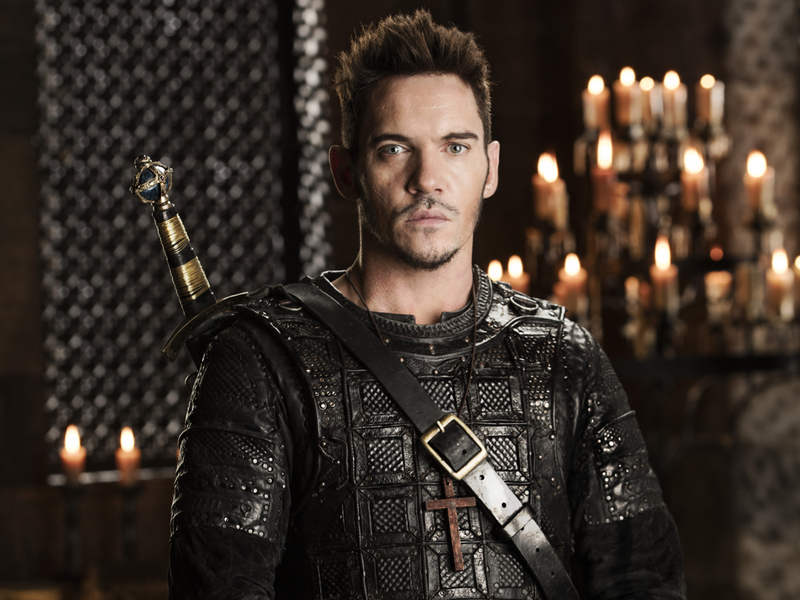 Jonathan Rhys Meyers makes his first appearance as battling Bishop Heahmund, the latest historic figure from the 9th Century to make it on the show. Meyers battles more than ex-wives in “Vikings.” Bishop Heahmund uses both words and weapons to fight for his parishioners. He takes on master war tactician Ivar the Boneless (Alex Høgh Andersen) in Season 5. Ivar likely will take control of the viking army next season, and Andersen told me he’s looking forward to fans seeing what already has been filmed. But, alas, fans will have to wait for Season 5 and the Ivar versus Heahmund rivalry. Until then, get ready to be wowed by “The Reckoning,” airing at 9/8c Feb. 1 on History. Finally, check out photos and the video preview from “The Reckoning” here.